Security is a basic right. That’s why we offer cheap SSL to help you succeed. Popular browsers like Google Chrome are beginning to mark HTTP websites as not secure. The best and fastest fix - an SSL certificate. Getting our cheap SSL can completely change the way customers view your website. No more worrying about data theft, message forgeries or eavesdropping. Did you know? Now you can get FREE SSL Certificate with all our Business web hosting plans! Security is a huge part of an online presence. Make a good impression with a safe website. In a world filled with breaches and information leaks security makes a big statement. The ability to secure your site lets you gain the trust of your customers and achieve higher SEO rankings. Cheap SSL allows us to make sure you succeed, which means we succeed as well. SSL integration protects every single business transaction. Higher SEO ranking, a good image and a low price gets you safety to last a lifetime. It takes just one click to install! Be smart - stay safe. What is HTTPS & SSL certificate? HTTPS or Hyper Text Transfer Protocol Secure is an updated and secure version of the precious HTTP standard. This protocol manages data between the website (server) and the browser (client). The S in HTTPS indicates that SSL protects the site and all of its traffic is encrypted, meaning it is safe. Hostinger believes in a safe and open internet: that’s why we offer cheap SSL. Bullet-proof security is just a few clicks away. 6 Reasons why SSL/TLS is a must have for any website. Brand Credibility. When transactions are involved nothing scares a customer more than the idea that they are not safe. The simple, bullet-proof solution - cheap SSL. Website Security. Safety first - SSL allows you to encrypt all the data between a visitor and the server. High-quality encryption makes sure that every packet is unbreachable. High SEO rankingGoogle officially announced that SSL security is one of the major SEO ranking factors. Integrating SSL/TLS is the straightest way to boosting your ranking! Increase traffic and sales. Getting cheap SSL makes a priceless statement to your audience. No one wants to stay long on an unsecure website. Make the smart investment that will provide a huge return on investment. Badge of Honors. Google Chrome and other browsers will begin marking websites without SSL as unsecured. Avoid the big red mark by investing into your image with cheap SSL certification. Protection from cyber-crime. Prevent legal action and scandals by making sure you protect yourself and your users. Not all publicity is good publicity. Stay protected, stay smart. The difference between HTTPS and HTTP is the s - security. SSL works at the transport layer. The certificate encrypts all the data coming through, making sure it can be decrypted by the intended recipient. It’s like having a secret language that only the intended user can understand. With HTTP: Having such unprotected data streams allows hackers to easily intercept and steal it while it's traveling between servers and the user. The data could be stolen, get corrupted or even disappear without as much as a warning. SSL has a very small price to pay considering the security it brings you. With HTTPS: Websites with an SSL/TLS protocol encrypt data travelling between the server and client, making sure that unwanted parties can't read it. This encryption makes sure that only the intended recipient can view the data. SSL protection renders any compromised data useless for the offending party. 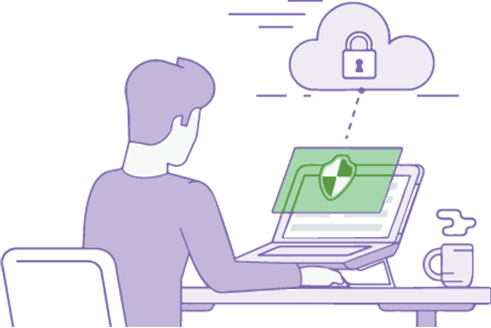 Keep your clients safe, build trust and improve your e-commerce capabilities with a smart investment in cheap SSL. Portfolio, blog or online store - you must keep them safe. Buy into service, not advertising. Get cheap SSL. Not having SSL encryption can be that one thing that keeps your users from buying your product. Having an excellent service or item isn’t enough! 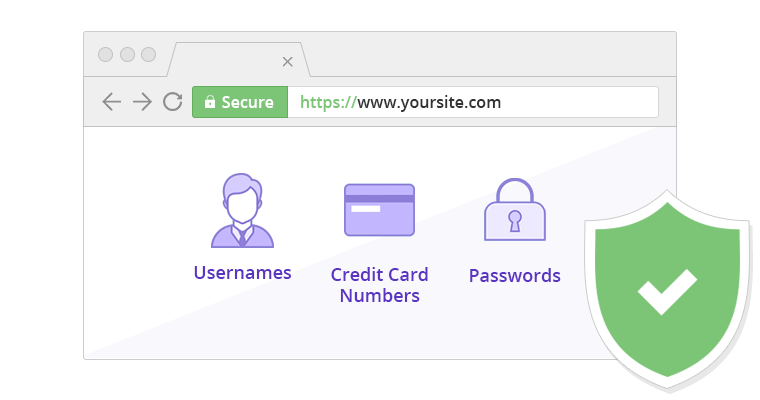 An SSL certificate can ensure that your users feel safe while making transactions or browsing your website. Actions speak louder than words. Have a spotless history by protecting your business. Real protection for a low price. Where scandals and data leaks plague the internet, you can stay ahead by securing yourself and your users. Cheap SSL can be the difference between success and loss. We offer you the best line of defence against “man in the middle attacks” that leave your data vulnerable to hijacking, theft and forgery. HTTPS will increase your SEO ranking, which means you get higher traffic. Let your customers feel safe when they buy from your online store, make sure your revenue is constant and steadily growing. Make the right choice with cheap SSL. Security is a significant factor in your SEO rank. All the work you do to get your website to the top of the search results may be for nothing if your site doesn't have an SSL certificate. Take your ranking to the next level! Many qualities make up a strong and trustworthy brand image. Some of the most essential points are trust and security. Every single famous enterprise invests into protection and so can you with our cheap SSL service. Cheap SSL certificate, how does it really work? It’s important to understand how your protection works. This is a simple explanation of how it all happens: the visitor's computer asks for a secure SSL connection, the server will provide an SSL certificate and a public key backup. The computer sends an encrypted key to the server, the server decrypts it and establishes a secure connection. This method makes sure that there is no room left for a “man in the middle”. All the data is safely decrypted only for the intended parties. Simple, sophisticated and safe. Hello, I need a secure SSL connection. Great! Here’s encryption key for this session. Ok, I will decrypt the key and establish secure connection. Haven't a great product isn’t enough to make the most amount of sales you can! SSL doesn’t just protect you. It also makes sure that you are the first one found amongst your competition. Gain a high SEO ranking, achieve your sales goals and beat the competition!